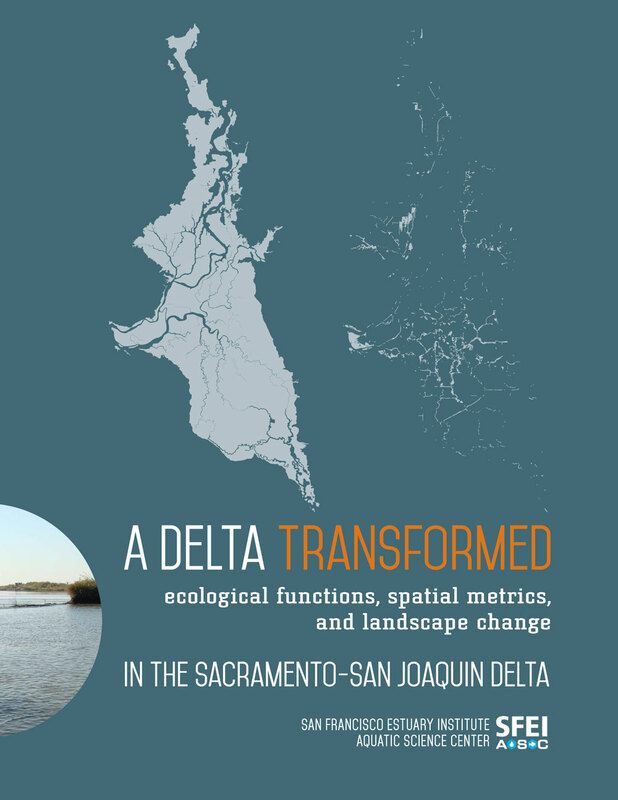 The Delta Landscapes Project has developed a body of work to inform landscape-scale restoration of the Sacramento-San Joaquin Delta ecosystem. 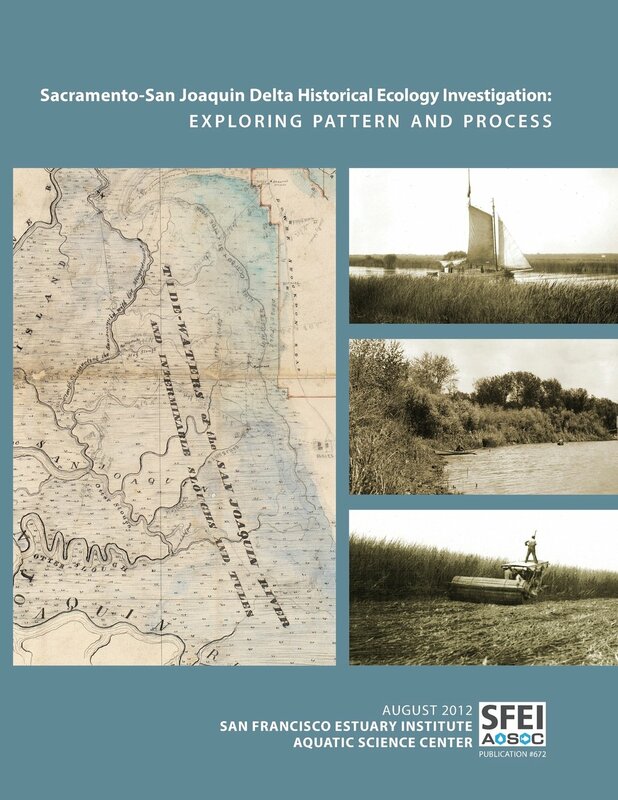 The project is built on knowledge, first published in 2012’s Delta Historical Ecology Investigation, of how the Delta ecosystem functioned in the early 1800s (prior to the California Gold Rush and subsequent landscape-level changes). In two reports described below, A Delta Transformed and A Delta Renewed, project scientists identify how (1) the Delta has been altered over time and (2) how it might be altered again in the future to better support resilient populations of native wildlife. Given the nature and scale of the historical transformation, as well as expected future changes (such as climate change, sea-level rise, and flow alterations, amongst other factors), the goal of the project is not to recreate the Delta of the past. Rather the objective is to understand how we can re-establish or mimic certain natural processes, in an altered system, in order to provide desirable ecological function now and into the future. This report is available online. Printed copies are also available for purchase. 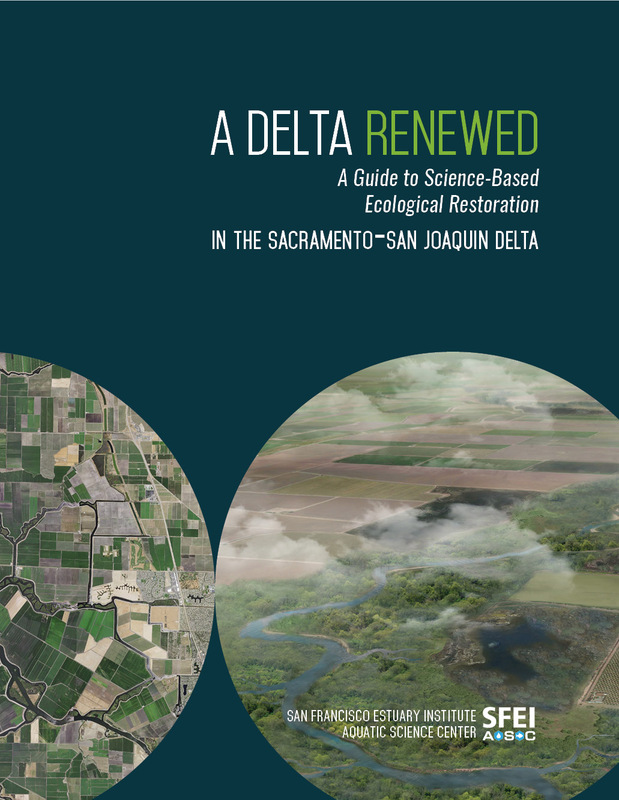 A Delta Renewed User Guide was developed to increase the accessibility of the technical findings in A Delta Renewed for easier application to restoration and conservation efforts across the Delta. 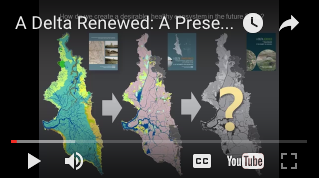 Water Deeply (Tara Lohan)- "New Report Offers Framework for California Delta Restoration"
Water Education Foundation (Gary Pitzer)- "Delta Report Highlights Need to Restore Legacy Processes"
The Record (Alex Breitler)- "Future look for the Delta?" Greenwire (Debra Kahn)- "Report finds 'cause for hope' in healing Calif. estuary"
The Record (by Michael Fitzgerald)- "The Delta That Ceased to Be"
Department of Fish and Wildlife- "Report Reveals Dramatic Changes to Delta Ecosystem"
KQED (by Lauren Sommer)- "Why California’s Largest Estuary No Longer Works for Wildlife"
KCET (by Chris Clarke)- "Report: Sacramento Delta 'No Longer a Delta'"
The Record (by Alex Breitler)- "The Delta Hardly a Delta Anymore"
Central Valley Business Times- "Report Reveals Dramatic Changes to Delta Ecosystem"